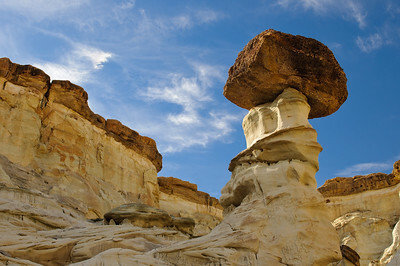 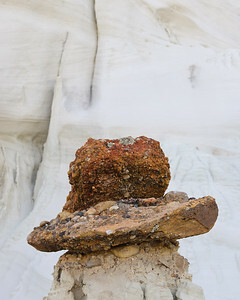 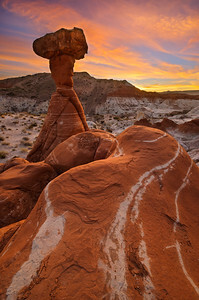 Grand Staircase Escalante National Monument, UT The sandstone tower is known as a "hoodoo", rising above the high desert floor under a fall sunset. 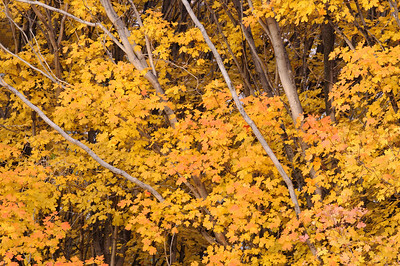 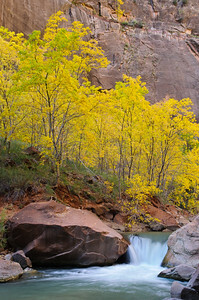 Zion National Park, UT The hike to the "narrows" in Zion National Park is filled with a rainbow of foliage in early November. 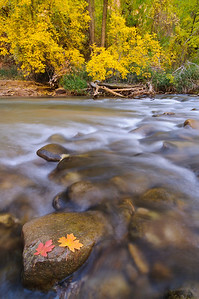 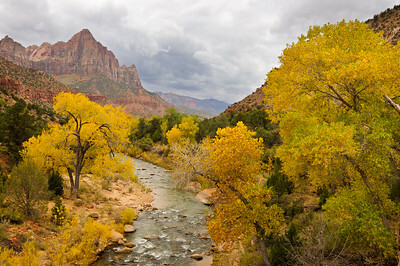 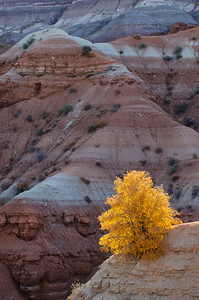 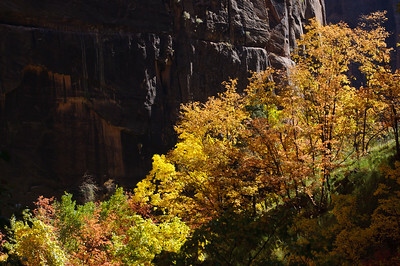 Red, orange, and yellow leaves glow above the Virgin River as the light bounces off the sandstone canyon walls. 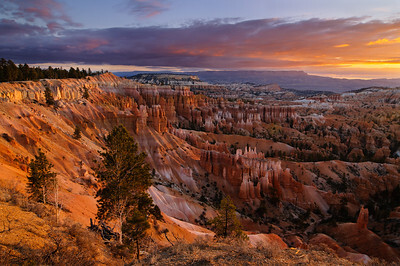 Bryce Canyon National Park, UT Bryce Canyon is glorious in all seasons, under all types of light, but this fall sunrise shone a spectacular orange glow on the hoodoo formations. 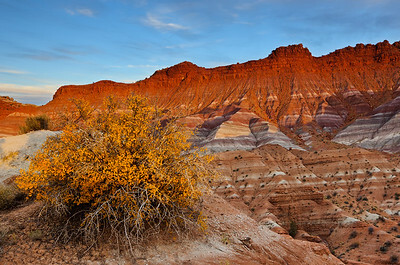 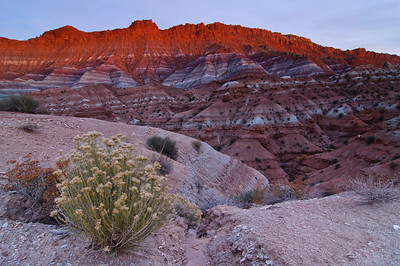 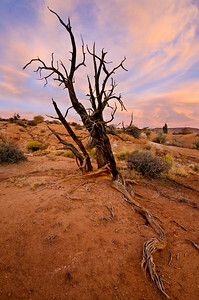 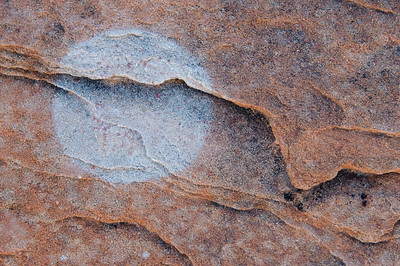 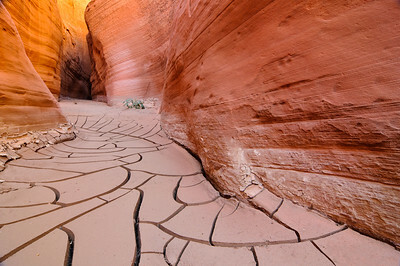 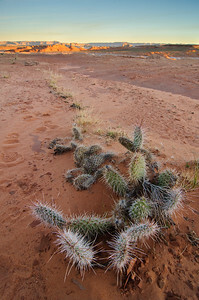 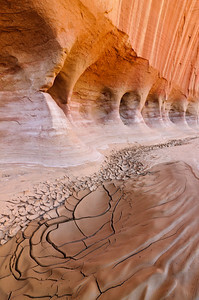 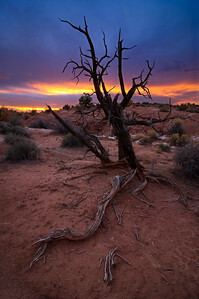 Grand Staircase Escalante National Monument, UT Sunset light shines its warmth on an orange bush in the "land of the sleeping rainbows" in Southern Utah. 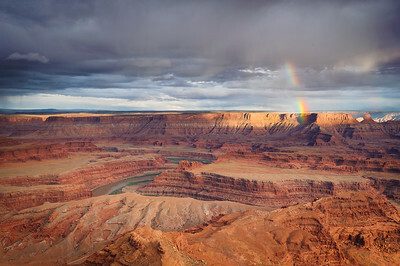 Dead Horse Point State Park, UT A rainbow glows under stormy skies at Dead Horse Point in Southern Utah.